We have an amazing new treatment to offer. 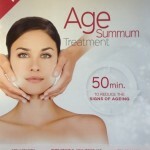 Guinot’s Age Summum is the newest anti- ageing facial on the market, responsible for treating fine lines, wrinkles, lack of radiance and firmness. Advertised as an ‘alternative to plastic surgery’, this facial is a holistic way for clients to achieve maximum results with minimal effort. This indulgent hour-long treatment includes a luxury mask with stimulating ingredients including vitamin C and hylaronic acid to brighten and even skin tone, whilst relaxing yet stimulating massage techniques, using pro-collagen serum, boost collagen and elastin production, lifting, toning and giving a firm, more youthful appearance. 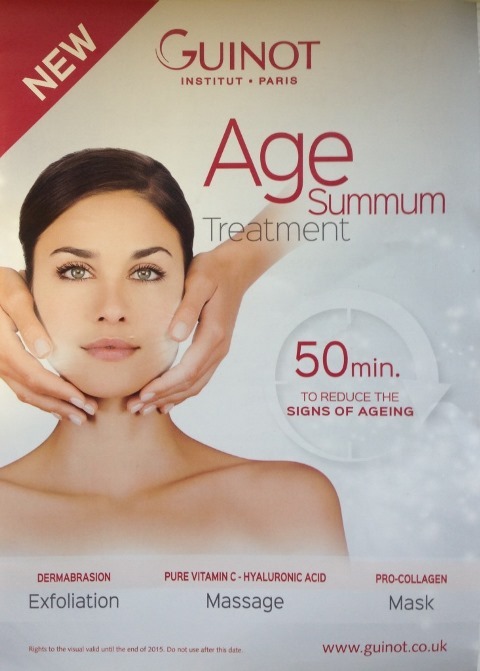 The Age Summum facial costs £60 and, following a course of 3 treatments, should be carried out on a monthly basis to achieve the best results.